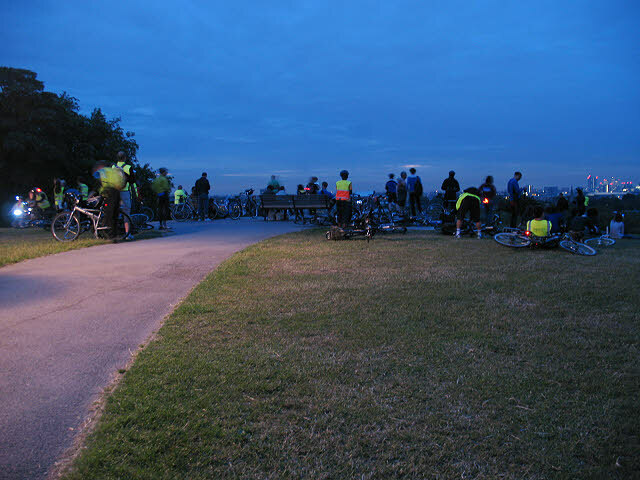 A group of cyclists and other people gather round the viewpoint on Primrose Hill on the morning of the summer solstice in anticipation of sunrise. They were to be frustrated by the cloud cover. This photo was taken at 04.08 BST, half an hour before sunrise, with a 1 second exposure.